Events, from trade shows to fairs to local festivals to business conferences, have the potential to be fun, valuable learning experiences that delight guests and leave a lasting impression. In fact, according to a Center for Exhibition Industry Research study, 86% of those who attend events believe they are “highly valuable” in helping reinforce brand awareness, and 80% say they help with new product or service launches. However, holding an event takes a lot of hard work. The venue has to be booked, the vendors or guests have to be contacted and scheduled, locations need to be posted online, and don’t forget about the entertainment, breakout sessions, and meals. Somewhere between making half a dozen phone calls to the venue to confirm the size of a meeting room while trying to simultaneously research flight information for a speaker and lunch options that won’t cost several thousand dollars, you might realize that you forgot to market your event. Event marketing can be confusing, time-consuming, and just plain frustrating for anyone who hasn’t done it before. If you’re not a marketer by profession — or even if you’re just not familiar with how to promote events — you may not have any idea where to start. That’s what led to the idea of compiling a list of online event marketing tips. We wanted to give event organizers a starting point for their marketing efforts, and some new ideas for anyone who may be looking for a fresh take on their event marketing. This list is broken down into 10 different sections. Some sections are longer than others. Like with our other long lists of tips and ideas, we’ve added some navigation to the top so you can jump to the sections you want to visit right away, instead of scrolling down the page to get to them. Let’s get these tips started! Without further delay, here’s our huge list of 75 online event marketing tips. Enjoy! 1. Purchase a domain name that people can remember (and type). Not too short, but not too long, either. Network Solutions has a domain name generator tool that you can use to come up with (available) URLs for your event website. 2. Invest in site design they’ll have trouble forgetting. How your event website looks may be less important than the information it contains, but you can still make an impact on visitors with elegant navigation, a beautiful layout, or gorgeous photography. Keep in mind that your site may be the very first time someone hears about this event, so you should try to make a great first impression! 3. Pay a little extra for responsive design or a mobile version. There’s a very high chance that attendees will be accessing your website before, during, and after the event. Unless your site is mobile-friendly, the perception they have of it — and your event, by association — could potentially be negative, if finding the information they want or performing basic tasks is too difficult. 4. Make registration your biggest call to action. You probably want attendees to register and sign up for emails and follow you on social media… and that’s fine. However, don’t confuse them by placing four different CTAs on your landing page. Try to funnel them into the registration page first, then offer these additional CTAs on a “thank you” page (as in “now that you’ve registered, why not also…?”). 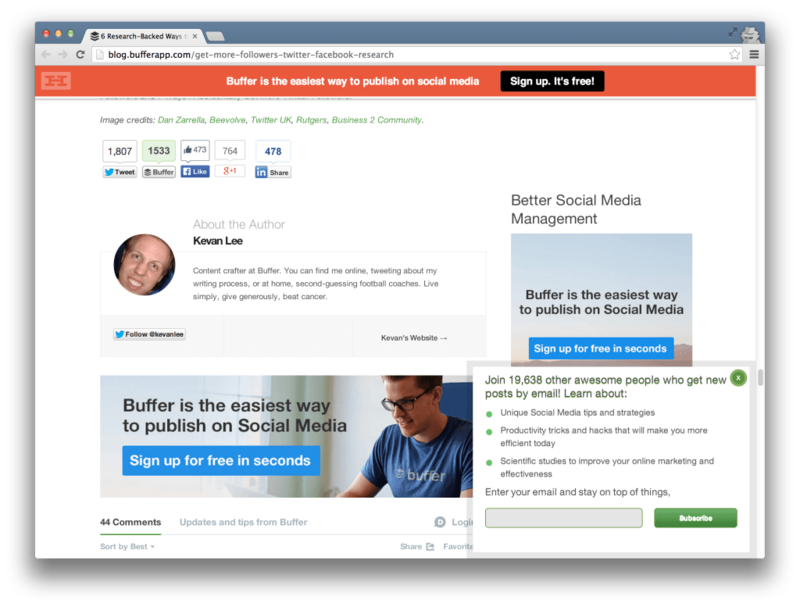 Kevan Lee of Buffer recently wrote about how you can see three separate “sign up” CTAs for the Buffer service on one page, but that it maximizes the chances of people seeing it — and you’ll know in your gut (and from your audience) when you’ve crossed the line with multiple requests. 5. If you have an existing website, create a dedicated landing page, and promote it somewhere very visible. This is a good solution if you’re sponsoring or hosting an event, but it’s not your major source of income (that is, you’re a manufacturer with a site, and you’re creating a new site for the event). This landing page can be a first introduction to the event, and can encourage anyone who sees it to click over to the event site. Link to it from your navigation, from emails, from social media, or even in pop-ups (see below). Worried about your landing page cannibalizing your rankings for your dedicated event website? Just want to use it in email promotions or as a halfway point between your main site and the event? Block it from searches with a noindex tag. 6. Try pop-ups. I am not a big fan of most pop-ups… but dang, do they ever work for some websites! Adding a well-written, well-designed, and easy to close pop-up promoting your event might help boost interest or signups dramatically. You can also try non-intrusive CTA bars like Hello Bar, or one of the many varieties of WordPress plugins that provide less intrusive “pop-ins” instead. 7. Create an event schedule. As early as you can — even if it’s rough — add a schedule of events showing what will happen at your event. This is one of the most important things you can do ahead of time, and will ultimately determine how much interest there is in what you’re doing. If you have an event where everything happens at once, you should at least list your hours of operation, and any special occurrences (ex. if one particular vendor closes early). 8. Create a list of speakers, special attendees, or notable vendors. This is one of the best ways to create interest, and it’s easy to do. You can also add bios and links to related websites and social profiles to give your guests an extra boost and make them feel more important, which could increase the likelihood of them linking you back. 10. Link to your event website everywhere. Put it on business cards, on your social media profiles, on your other websites, and so on. 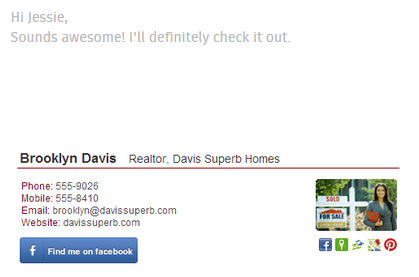 One of the fastest ways you can get visitors to this site is by adding a link in your email signature. A tool like WiseStamp can be used to create attractive email signatures with integrated links, photos, and social media icons — and you can create a separate signature just for promoting your event, if you so desire! 11. Create a dedicated list for attendees. 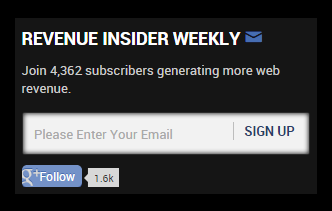 While it’s fine to send any current email subscribers you may have information about the event, or to try to push them to learn more and sign up, you shouldn’t bombard your regular list(s) with event-only information. This dedicated list will allow you to send more targeted messages about what’s going on, when, and where. It’s also a great way to capture email addresses so you can promote registration for next year (see tips #69-75). 12. Make it easy to sign up for email. This may mean using a very simple form with only two form fields (like “Name” and “Email,”) or simply adding a ton of locations from which users can subscribe, like your website, social media pages, and landing page(s). 13. Optimize your emails for mobile. If you’re still sending email that only looks good on a large monitor, it’s time for a change. Email sent right before or even during your event will almost certainly be viewed on a mobile device, so it’s important to optimize it for these smaller screens. That means not only using responsive or mobile templates, but also keeping text length in mind, too. 14. Provide direct links to the registration page in your emails. Nothing is more irritating than clicking a link in an email that leads to a non-targeted landing page. If you mention registration in your email marketing, make sure there’s a link that goes to the registration page… not your homepage. 15. Offer discounts or special deals for those who register via email. Many events have discounted registration rates based on when people sign up, but they may not have one based on where they sign up. Why not give email subscribers an extra discount? It’s great for them because they save money, and for you because they’ll be on your list for future marketing messages. 16. Add value by talking about the event. If you’ll have special speakers, workshops, conferences, or panels, mention those in your emails. Don’t be afraid to drop the big names in your industry, if they’ll be there, or show their photos. Sometimes you have to come right out and say “this is what we’re doing that sets us apart” to get people there. 17. Send more than one email. Events can sneak up on you — and your attendees — fast. Don’t send one or two emails right before the show, or a simple “thanks for coming” email right after. Use your list to its fullest potential. Remember that you don’t have to talk about the event the whole time: you can always curate content from blogs and websites that attendees might find useful! 18. Create and implement the official event hashtag. Although this may be easy for some events with unique names, it may be difficult for others. Search Twitter for your hashtag ideas to make sure they haven’t been used before, or won’t be confused with other commonly-used hashtags. Additionally, try to keep your hashtag short, yet easy to understand. 19. Create new social media profiles, or adjust your existing ones to suit the event. How you handle this depends on the event. If this is a brand new event that you are clearly sponsoring, you may simply want to temporarily “rebrand” your social media pages to show off the upcoming event (ex. add the hashtag to your bios, change your header images). But if you are creating a new event as a new company, or if you don’t want to overrun your existing profiles with event-related updates (e.g. it’s going to be a big event), new social media pages are a must. 20. Create a dedicated Facebook landing page. You can use free or inexpensive Facebook tab builders like ShortStack or Pagemodo to create a special page just to promote your event. What you put on it is up to you, but at minimum you should list the location, date(s) and time(s), any special attractions (speakers or notable guests, vendors, etc. ), and a brief description with a registration call to action and link. 21. Create custom social media graphics. 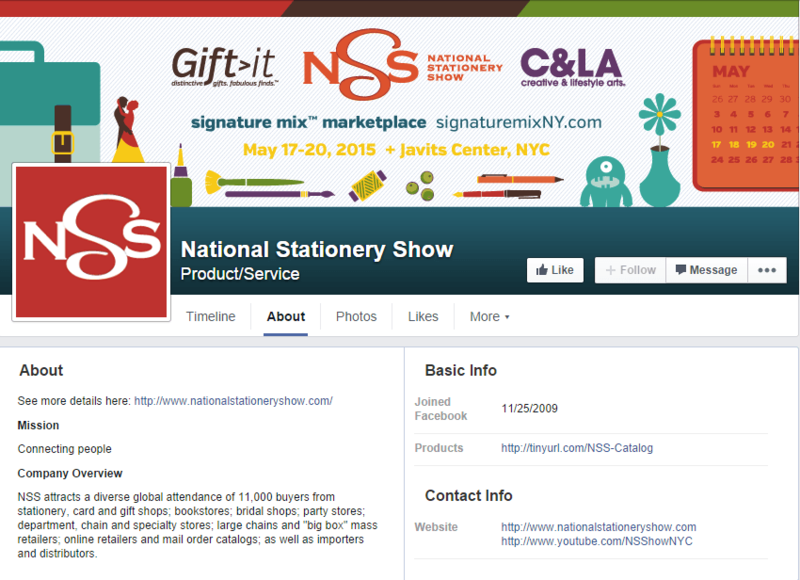 Consider creating special Facebook and Twitter profile header images that promote your event. You could even create special images that are added to Pinterest and Instagram, or used as photo posts on Facebook, if you want. 22. Write a custom Twitter bio. Twitter bios are far more visible than Facebook page descriptions, and the links and hashtags in them are clickable. Add all the details of your event to yours, including any relevant accounts, hashtags, or website links. 23. Create an event on Google+. Although Google+ Events are relatively underutilized, they have a few perks, notably the ability to easily organize photos of attendees who upload their photos there. Creating an event also allows people to RSVP and add the event to their Google calendar, and since the RSVP shows up publicly, it could potentially stir up interest. 24. Discuss your event on LinkedIn. Although LinkedIn shut down their Events app last year, you can still post about — and promote — your event on the platform. The best way to do this would be by posting a topic in a relevant discussion group, or by simply posting to your contacts on your wall. However, be careful not to get spammy with this: a polite, concise update with a link to the website should be enough. 25. Update about the event frequently. These updates don’t have to be pushy; something like “just confirmed (name of influential speaker) for (name of event)! So excited! #eventhashtag” or “we’re up to 300 registrations for #eventhashtag! Can’t wait for (event month)!” should do nicely, and can serve as nice, gentle reminders to register. Of course, that doesn’t mean you shouldn’t directly ask for registrations (see tip #26). 26. Post calls to action for registration. You’ll want to post more of these as time runs out for registration. Once per network per day is probably a good limit. “Time is running out,” “don’t miss x, y, and z” and “this is your last day to get $ off registration” are good starting points. 27. Post “teaser” photos. As the event draws closer, you can drum up excitement — and possibly attract new attendees — by posting photos on sites like Instagram. 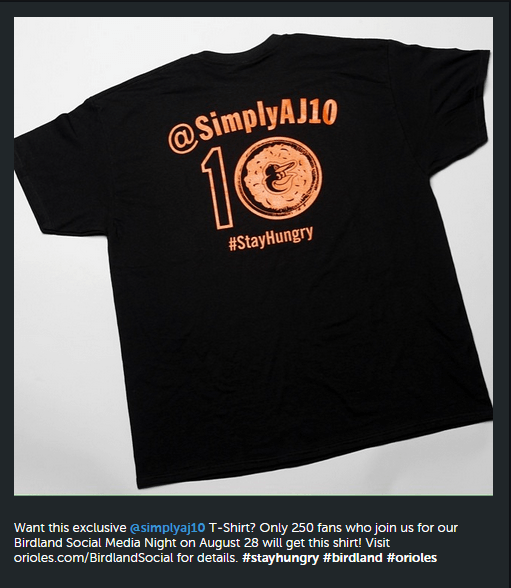 The Orioles do this particularly well by teasing upcoming T-shirt giveaways and events on their Instagram page; this is a short-term example, but there’s no reason you couldn’t do something similar over a longer period of time. 28. Start a blog. Blogging is easy, inexpensive, and it doesn’t have to take up too much of your time. The official blog about your event might just contain news (new speakers, the schedule of events, interesting updates, etc.) or it could contain content relevant to the industry. It depends on your audience and what they’re interested in reading. 29. Write a how-to guide. Do some keyword research (see tip #37) and find out what how-to guides may be missing from your industry, then create a guide to fill that gap. With a call to action at the end — and the promise that readers can learn more about the subject at your event — you might have some luck getting this to spread socially, and attracting many new visitors to your event website. 30. Write content for other websites. Guest posting on other blogs can be a great way to gain exposure and clicks, especially if your content is good and the sites you’re writing for are popular. Approach this tactic with caution, though: the last thing you want to do is seem spammy. Do some research and only pitch bloggers that would have a genuine interest in your event (or who might actually already be attending). 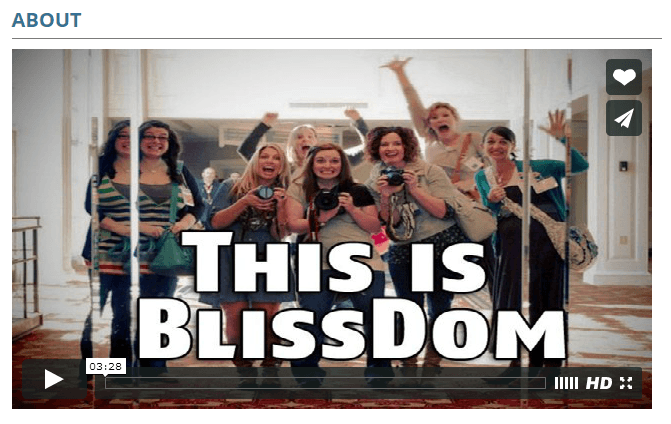 Not sure how to get started with guest blogging? Check out our guide here! 31. Produce an infographic. Infographics can and do lead to viral success, as well as powerful links from other sites that can increase your authority and ranking (see tip #44 for more on link building for events). Consider designing an infographic about something related to your industry and doing some outreach to see if you can attract these links and the valuable attention that goes along with it. 32. Research and produce a whitepaper. Whitepapers, which are typically research-heavy, report-focused PDFs, can be a great resource for business or marketing event hosts who want to appeal to possible attendees by adding value. 33. Produce a video. Again, much like the other content described in these tips, any video you produce doesn’t necessarily have to be about your event — it can be about your industry. Since content marketing is less about the hard sell and more about adding value through worthwhile content, this video could show tips, tricks, a how-to, a demonstration, or even be a session or speech from someone who will be attending your event. 34. Curate content that supplements yours. People tend to get bored pretty fast if you only talk about yourself. Curate content from other websites and blogs, and share it on your social channels or own blog (or even in email) to keep them interested and show that you’re committed to your industry. 35. Selectively “email gate” your content. This is both a content marketing and email marketing tip. Say you’ve found that 50% of people who sign up for email register for your event, but only 10% of those who read a guide do. You can “email gate” your guides so that visitors have to enter their email address — and agree to receive messages from you — to download your guides. This can discourage some users, but you can get around that by providing previews or samples of the first few pages. Remember to keep your eye on the prize! You may also want to consider researching and adding location-based keywords. Notice how many of the results above include locations like “Philadelphia,” “UK,” and “Phillippines”? You should list not only the city and state (or country) your event is being held in, but also find a way to mention local cities in which searchers may be trying to find events like yours. 38. Write accurate, interesting meta descriptions. Do you know what the difference between these two search results for “national dog show” are? The first listing contains a meta description, a manually defined HTML attribute, around 155 characters long, that provides a short description of a page’s content. The other does not, and the text that appears there is automatically pulled from the page’s text. Although meta descriptions do not directly affect your ranking, they can and do affect how many people click (or don’t click) your result in any given search engine result page (SERP). Additionally, if you write misleading meta descriptions that promise something, but your page delivers another, your bounce rate will go up. Both of these factors can harm your spot in the SERPs, which means that meta descriptions have an indirect impact on your site’s SEO. Check out this Moz article to learn more about implementing meta descriptions. 39. Add header text that includes your targeted keywords. Don’t neglect those H1s, H2s, and H3s. Google seems to scan these headers for keywords first, as opposed to body text, so make sure your page not only has headers to break up chunks of copy, but that they’re keyword-rich where possible. 40. 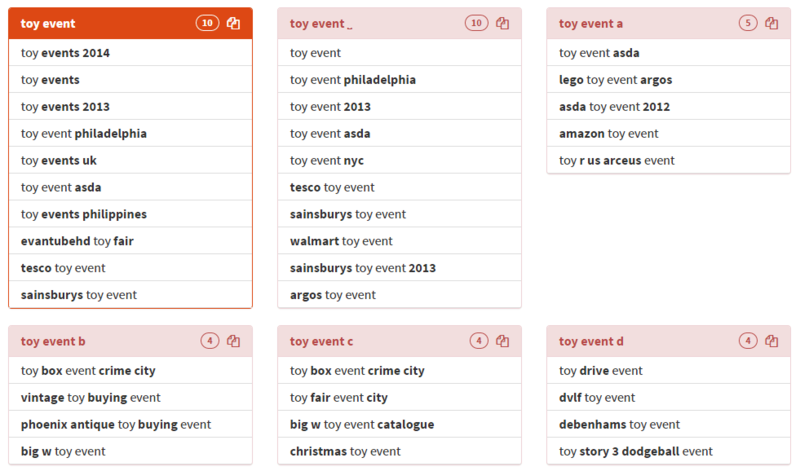 Add event markup to your listing in search. Google’s rich snippets allow you to add HTML markup to your pages so that details of your event can display in a search engine result. This can be a huge plus for increasing clickthrough rates, especially for events that may be held multiple times per year. Check out Google’s page on rich snippets for events to learn more about implementing this feature. 41. Eliminate 404 errors. A “404 not found” isn’t just irritating to users: it’s potentially harmful to your SEO. In small quantities, mistyped or temporarily bad links won’t impact your site’s ranking, but lots of 404s can affect user behavior, and thus harm your spot in the SERPs. Review your crawl errors page in Webmaster Tools to find 404s and 301 redirect them to new pages where appropriate. 42. Stomp out duplicate content. Another “not harmful in small quantities” item, duplicate content can present a ranking problem when all of your pages have the same information (for example, the exact same page title) or when multiple websites share large amounts of content with you. This can also happen on some sites where the same pages can be returned from multiple URLs (for example, through site search). Webmaster Tools will also flag duplicate content for you to locate and revise. 43. Keep an eye on your site speed. Site speed is another factor that has an indirect impact on your SEO and rankings. The slower your site, the higher your bounce rate; the higher your bounce rate, well… you get the idea. Consider bumping up your hosting plan shortly before and during the event to accommodate all those visitors — the last thing you’re going to want is a bunch of frustrated attendees who can’t find or access your event schedule page. 44. Build links. Link building doesn’t just bring more visitors to your event website: it also improves your site’s authority in search engines, increasing the likelihood that you’ll be found by those searching for the keywords closely related to it. Reach out to relevant websites and contacts — like attendees, sponsors, or even the event venue — and ask for a link. You can also consider writing some content that includes a relevant link to your own site, then pitch it to blogs in your industry. If you’re new to link building, you can get some helpful tips on building your first few links right here. 45. Leave no stone unturned. Your homepage isn’t the only page of your event website that matters. One of the best pieces of advice I ever got about this topic was “every page is a landing page.” You can’t assume that every user is going to enter your site from one or two specific pages — or that only those pages should (or will) rank. Every page of your site should be fully optimized, from its title and meta description to its keywords, navigation, and footer. The overall impression of your site is important, both for users and for search engines. We have an on-page SEO checklist that can help you optimize every page of your site (and you can get it for free!). 46. Send out at least one press release. Although they’re not as glamorous as they used to be, press releases are still a great way to get your important news in front of the people who want to report it. Don’t limit yourself to just one: you can send out releases when you announce the event, when you announce new guests, or when anything else newsworthy happens. 47. Contact the news directly. Email or call journalists, reporters, news anchors, or writers at the stations, newspapers, or online outlets where you want your event to be covered. They might not all get back to you, but you can score some great coverage (and powerful links) from a few hours of dedicated outreach. 48. Contact relevant bloggers. For some events, bloggers can be a more powerful force than the local news. Locate a few in your industry and shoot them a quick email about your event, asking if they’d be willing to share the news on their blog. You can even invite them to attend for free, if you like. 50. Look into sponsored content. Some websites now offer special forms of sponsored content that is a mix between advertising and content marketing — it looks like an article, but there’s usually a “sponsored by” tagline at the end with a call to action for a brand or business. You could certainly do this to promote your event, but remember that relevance is crucial! 51. 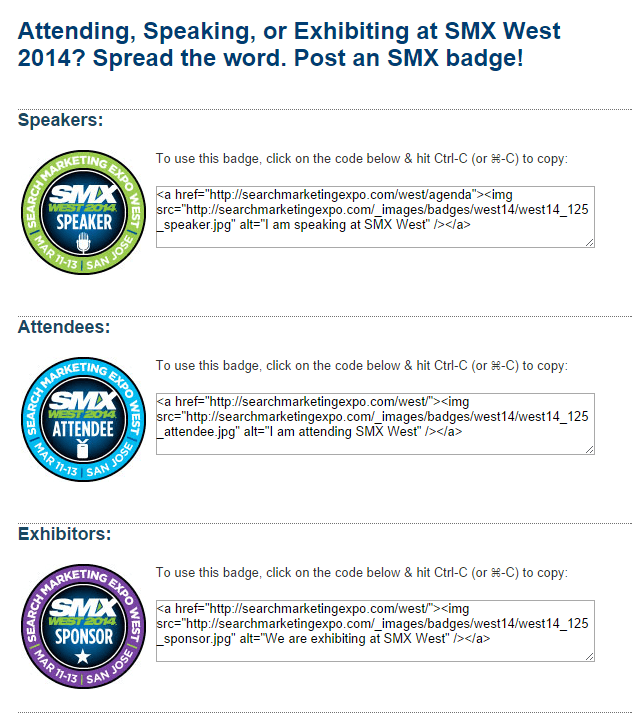 Create badges that attendees can add to their websites. “I’m going!” graphics are the easiest way to accomplish this. Provide a dedicated page with one or more sizes of these badges, along with the necessary HTML needed to display the badge. Bonus: you’ll get a link out of it! 52. Give vendors or speakers everything they need to promote their presence. Similarly, an “I’m speaking” badge or a “come visit our booth” graphic can be great for anyone who’s attending in a more official capacity. You can also provide press kits, the schedule of events, and other behind-the-scenes show information to these contacts, which will in turn allow them to tell more potential attendees about what they’re doing and when, and why people should come to see them. 53. 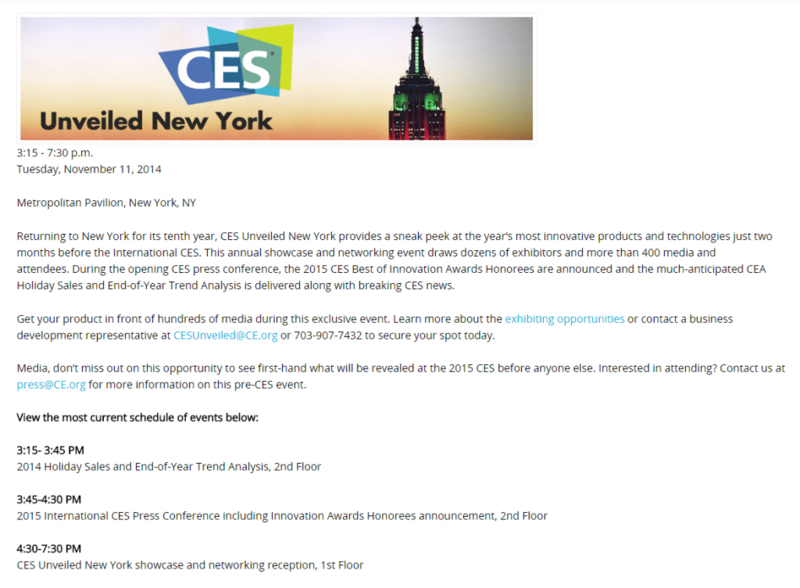 Create blurbs that attendees or vendors can add to their emails. If your show has vendors or a sales floor, you can probably count on these companies wanting to promote their presence there. Make it easier for them by providing some pre-written blurbs, along with graphics and links to your site and registration page, that they can use. 54. Set up an affiliate program. Affiliate programs are traditionally in conjunction with ecommerce sites, but why not create one hooked into your registration page? You can give those who refer new registrants a set percentage of the fee, and it doesn’t have to be high. CJ Affiliate is one of the most popular options. 55. Ask your friends for help. Have a friend who owes you one? Know someone with a huge network who won’t mind doing you a favor? Ask them to promote your event on their LinkedIn page, or to email a few people who might be interested in attending. I don’t recommend cold emailing anyone you don’t already know, but done carefully, this tactic can definitely earn you some additional attention. 56. Hold a webinar. While webinars aren’t new, they probably aren’t typically used to promote events. The subject should be something related to the topic of your event, and there should be a registration call to action at the end. Another idea: have one of your sponsors or speakers co-host it with you. 57. Interview an influential attendee, speaker, or vendor. Like a webinar, this is another way to create interest that may not be typically used. This can be posted on your blog with a call to action for registration at the end. 58. Produce your own video coverage. Who needs the local news? Record a video about your event and host it on YouTube, then add it to your site and social channels. With a few relevant hashtags, and even some additional outreach, this video could attract lots of interest. It also gives you a chance to have someone interview you, if that’s a format you want to pursue! 59. Buy a commercial from an online radio station. This works best if the event you’re advertising is applicable to the station from which you buy it, obviously, but a commercial on Pandora, Spotify, or other online music clients could help you reach thousands of potential event attendees. 60. Arrange for on-air time with an online radio station. Some DJs, under the right circumstances, may be willing to have you on their show to promote your event. This works best if what you’re doing is something with mass appeal. You can do this with a local station or an online one; some local stations are now broadcast online, which can amplify your reach in huge ways. 61. Offer free registration… with a catch. You’ve seen those competitions where the person who keeps their hand on a new car the longest is the one who gets to take it home, right? It sounds silly, but there’s no reason you can’t do something similar for your event: registration is free, as long as you do something public. For example, you could give away free passes to anyone who uploads a YouTube video of themselves explaining what they want to see or do most at your event. Or, if you want to go all out for your car show, offer tickets for the best video of someone doing a (safe, please) car trick of some kind. This has the potential to spread quickly, spreading word of your event with it. 62. Post on social media as often as you can. Fire up those fingers and start tweeting! Now is the time to add photos from your event, use your hashtag like it’s going out of style, and mention everyone by @name. When people who aren’t at the event see how much fun you’re having (or how much learning is happening, if you’re at a business event), they’ll probably get a little jealous. 63. Add a detailed, accurate, up-to-date map to your website. Make sure everyone knows where they’re going, where everything is, and how to get in and out by adding a map to your site and social networks. 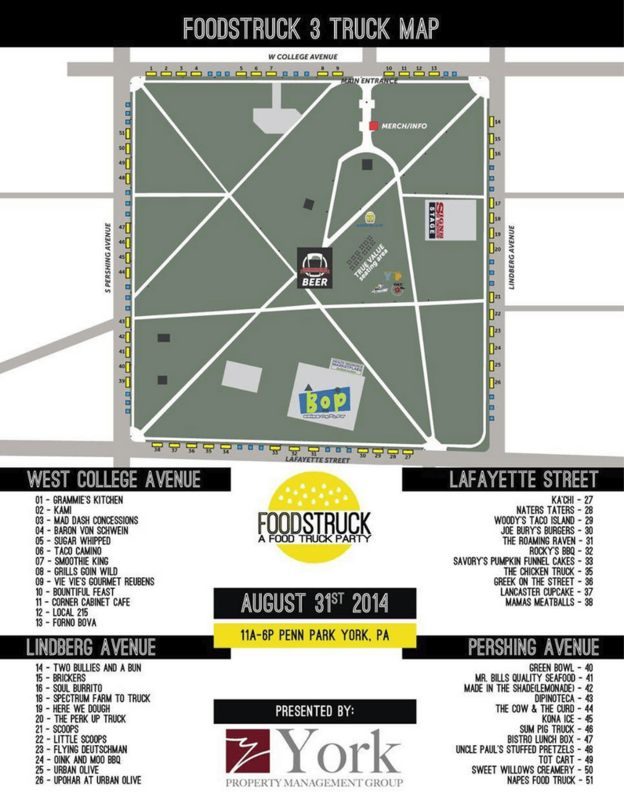 foodstruck, a food truck event I recently attended, did this a few hours before opening, and it was extremely helpful to have the map on hand while navigating the busy location (and trying to find a cupcake truck). 64. Shout out to attendees in real time. Someone mentioned your event on Twitter? Retweet them! Someone posted a great photo from a session on Facebook? Share it! Someone posted an awesome shoutout on social? Announce it on the PA and thank them in front of everyone. Your appreciation goes a long way. 65. Hold giveaways, raffles, or special drawings. You don’t have to give away an iPad or a new car, but raffles and door prizes can stir up a lot of excitement. Vendors and sponsors will probably be willing to pitch in a few prizes, so your financial commitment for this may be next to nothing. These can be organized online, marketed on social, and done at the event. Additionally, these raffles can offer you ways to collect contact information, including email addresses, that you can use for targeted outreach or to promote registration for next year’s event. 66. Listen. Nothing can turn customers off to a brand quicker than feeling like their complaints aren’t being taken seriously. The same can apply to an event. Monitor social channels (and verbal feedback to your staff) for common complaints, and do what you can to acknowledge any issues and resolve them. Don’t get so caught up in the big picture that you forget about the little details. 67. If there are last-minute changes, update your website, social media, and send an email. If a speaker has to be rescheduled to a different room, or a luncheon needs to be bumped up by half an hour, try to get everyone informed as soon as possible. This will both eliminate confusion and establish goodwill, showing attendees that you’re committed to keeping things running smoothly. 69. Announce next year’s date as soon as possible. The best time to do this is usually at the event itself, or in an email (see tip #70). 70. Send out an email announcing next year’s date, including a calendar invite. If you can get the event on someone’s calendar early, you stand a better chance at getting them to attend. 71. Offer an “early bird” registration discount for next year. While it may seem silly to accept registrations a year before the next event, offering them at a steep discount can be enough motivation to get attendees to sign up. Set clear dates for the early bird registration. This would be good to promote on your website, in email, and on social media. 72. Post photo galleries to your website, Facebook, and/or a Pinterest board. Showing off the best moments and what was missed can be motivation enough to prompt non-attendees to keep an eye out for next year’s event… or can remind those who did attend not to miss out on it again. 73. Share presentations, slide decks, or videos as well. Again, showing off what was missed can be great motivation. You may be hesitant to give this kind of information away for free, but it can absolutely encourage future interest. Copyblogger has some great guidance on what you should and should not share for free that can absolutely apply to events. Content Marketing Institute includes short reminders about its yearly Content Marketing World event in weekly emails — not so far out from the actual event that they’re irrelevant, but also not clustered together right before it happens, either. 75. Send personal “thank you” emails. Last — but certainly not least — never doubt the power of a personalized email. If there’s anyone who did something special, whether they were a speaker, attendee, or vendor, send them a note of thanks. It might sound gimmicky, but expressing your genuine thanks can be fantastic motivation to get them to come back again… and it’s just a plain nice thing to do. 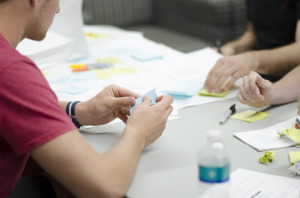 You’ve reached the end of our massive list of event marketing ideas! What did you think? I hope you found this useful in some way. Feel free to save it for later, or to share it with anyone who may find it helpful using the social media icons at the top of this page. Have any tips of your own to add? I would love to hear your suggestions — and we might just add them to this list! Leave a comment with your own event marketing experiences, tips, or unique ideas, and we just might append them onto our list with a hat tip to you. Thanks for reading, and happy marketing! Nicole is a content strategist who loves the Internet, good books, penguins, and yellow things. Follow her on Twitter @nicoleckohler.